Nozawa Onsen with its rich Japanese culture, peaceful Mountain village atmosphere, High speed Internet and so much more makes for the perfect place to escape to some work! We currently have a group of young tech heads from Tokyo staying at Nozawa House in Nozawa. They have rented the house for 3 weeks to come up together and design a new App. They love the peace and quiet of the Village at this time of year, the super high speed Internet, delicious local food, hot springs and outdoor activities. Among the beaches of south east Asia and the metropolises of global capitals, ‘digital nomad’ is a term that’s rapidly entering everyday dialect as a synonym for ‘globally envied’. 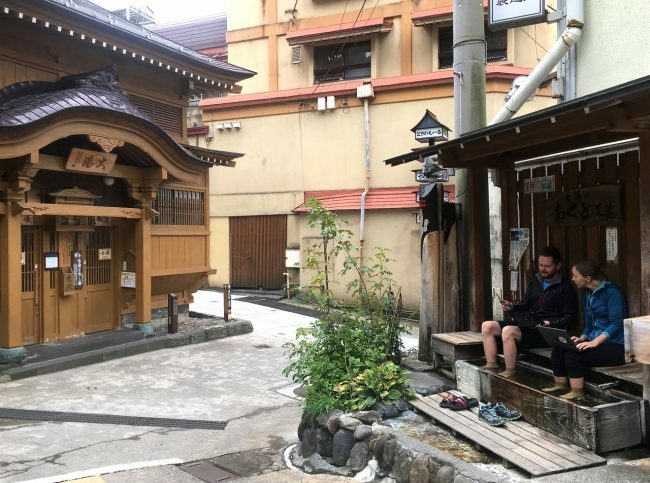 In this article, we’ll explore Nozawa Onsen, the little-known digital nomad destination. High speed fiber-optic internet throughout the village. Just 3 hours from Tokyo by bullet train. Perfect for Nature lovers and adventure sports fans. Unlimited free use of thermal pools (Hot Springs or Onsens). Cheap Accommodation discounted by over 50% over the Green Season and great value food. You can live relatively cheaply in Nozawa and still have a great time. 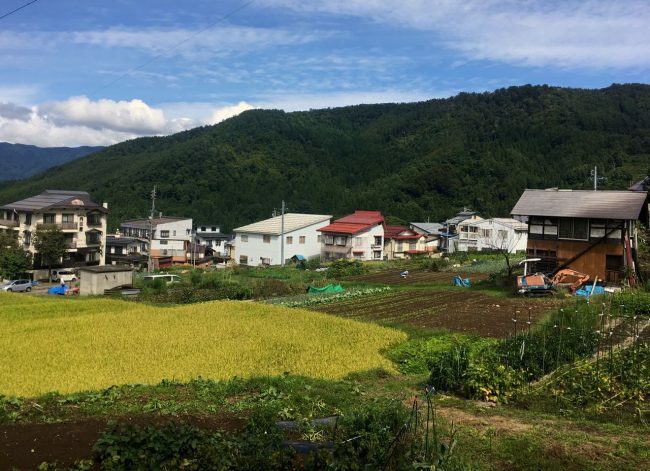 Working in Nozawa over the Green Season is not just farming. Can bring your work with you and work on line what ever field you like. Digital nomads, one of those few individuals managing to propel themselves down a truly freeing career path. Released from the bonds of the nine-to-five regime. Exploring the delectable delights of the world whilst earning a living along the way. When it comes to places to set up shop, the digital nomad is spoilt for choice. From the coffee shop laden metropolises of Seoul and Tokyo. To the idyllic coastal places like Phuket or Bali. On a day to day basis one of the major concerns for those of us lucky enough to be in this situation is identifying the next office location. Consider Nozawa Onsen, a village nestled in the Japanese mountains with a lot to offer. Typically billed as a winter ski resort, this charming town of less than 4000 also has many draws to the out of season traveler. Particularly, those preferring the serenity of sprawling mountain vistas and forest canopies over the hustle and bustle of the urban hubs. Nozawa Holidays operates lodges throughout Nozawa Onsen and happily host a whole range of digital nomads. This could be the solo traveler looking for a quiet spot to concentrate. Or the entrepreneurial group of friends looking for a distraction free place to focus. Whatever your nomadic preferences, Nozawa Onsen provides you with a stunning work environment. 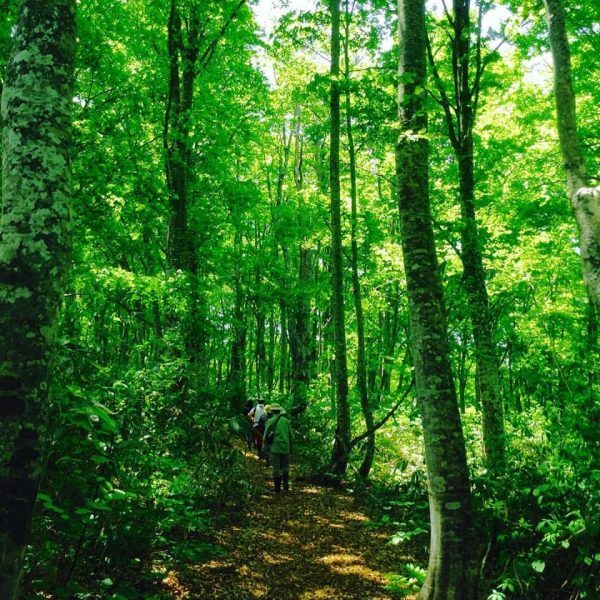 Your down-time, spent exploring nearby forests or absorbed in Japanese culture. 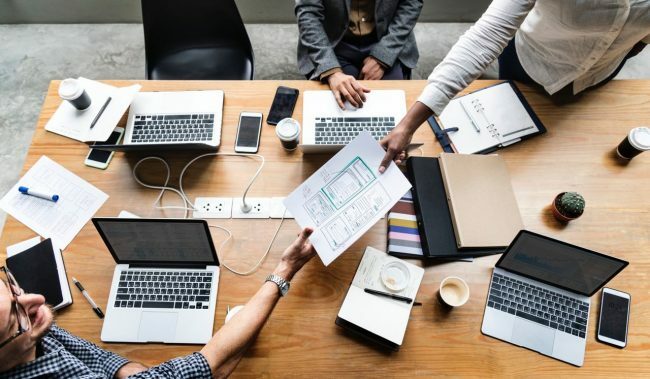 With some of the Worlds fastest and most reliable internet on offer and plenty of work and play space Nozawa is a great break from the usual office to let the creativity flow. A day in Nozawa is far and away from your typical routine. Rise early to watch the morning mists clinging the bottom of the forested valleys. Then, take a gentle stroll into town for a delicious coffee at Haus St Anton. After returning to your Nozawa Holidays lodge, set up your workspace in full view of a stunning mountain vista. Try not to be distracted by the gliding birds of prey and brilliant white clouds cascading over nearby peaks. Prepare some lunch in one of Nozawa Holidays fully equipped kitchens. Then, grab a free to use onsen kit and head over to the local thermal bath. Your work for the day completed, take a walk up one of the local mountain trails. If you’re lucky, you’ll spot all manner of beautiful and unique wildlife. From the Kamoshika to illusive Asiatic Black bears. Wonder back into town for some delicious local food and peruse the plethora of stores selling locally produced goods. Settle down in a local bar for a beer and maybe a Sake or two. Make your way back to your Nozawa Holidays lodge and relax in the lounge in front of a warming fire. Nozawa Holidays has a wide range of accommodation, suitable for every taste and every requirement. Be sure to get in touch with us. We can help find the right accommodation to suit you. Ideal for the solo digital nomad looking for comfort, convenience and a dash of elegance. Villa Nozawa is situated a few minutes’ walk from the main stretch of cafés and restaurants. Situated on a hillside, it boasts delectable mountain views from almost every window. Complete with large comfortable rooms, a cozy lounge area and a fully equipped kitchen. Villa Nozawa has everything the digital nomad needs to obtain that elusive balance between epic productivity and r­­elaxed recovery time. The villa of course comes equipped with free to access high speed Wi-Fi. 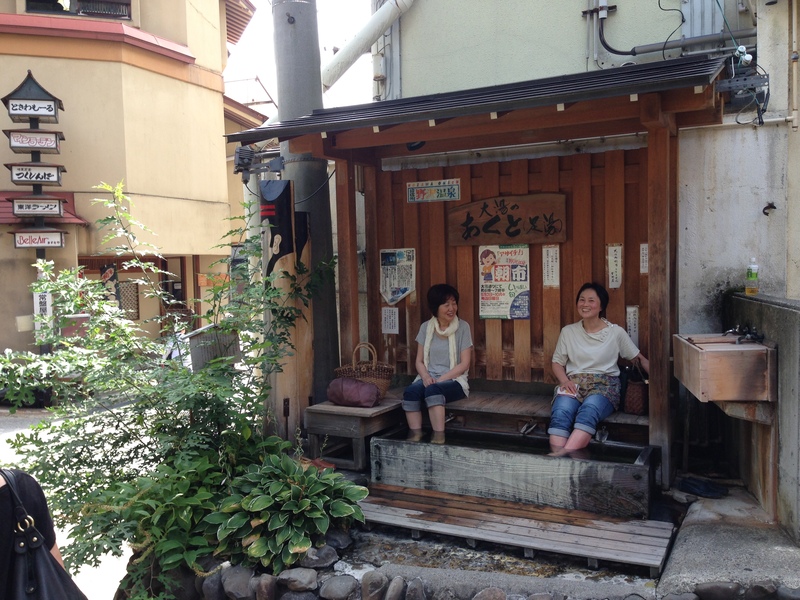 After a hard day’s work, the local onsen is around 60 seconds walk from the front door. Perfect for the groups of intrepid digital nomads. A space to express ideas and work together on solutions in a place of privacy, serenity and comfort. Nozawa House sits in woodland and is a walkable distance from the center of town. It offers a large and modern 3 Bedroom house complete with your own fully equipped kitchen and a large dining/working area.